The president of the Royal Spanish Football Association (RFEF) has promised full cooperation with authorities during an investigation into alleged corruption. On Tuesday, the Guardia Civil requested documents from the Catalan Football Federation (FCF) to assist with their probe into financial irregularities within areas of Spanish football's governing bodies. According to La Republica Esportiva, two high-ranking officials were arrested by the Guardia Civil as part of the investigation, known as Operation Soule. The Spanish police force did not immediately respond to a request for comment when contacted by Omnisport. 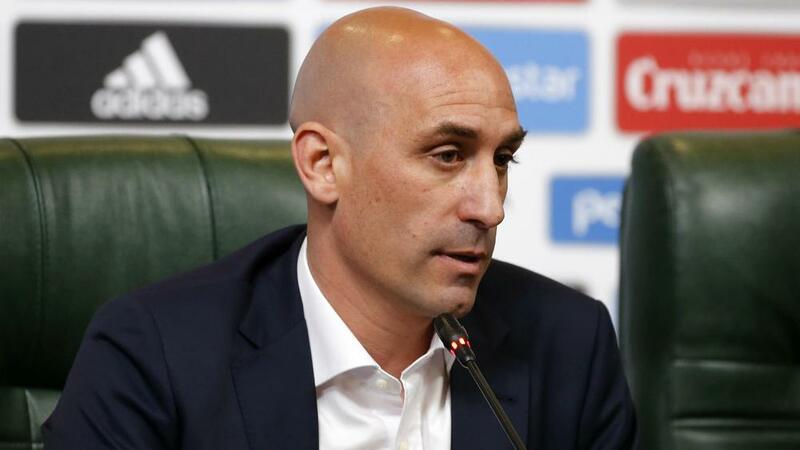 RFEF president Luis Rubiales stressed there would be "maximum collaboration" with investigators until the situation is resolved but called for the presumption of innocence to be respected. He also underlined to reporters the importance of "the commitment that exists towards the courts from the RFEF", insisting that "transparency and rigour are values of the Federation". "The situation is complex, but it is important to wait until we have all the information," he added. "My commitment is total towards transparency and also, like a lawyer, towards the presumption of innocence." The RFEF professed its "utmost respect" for the police investigation but also highlighted the importance of "the necessary respect for the presumption of innocence". "There is a commitment to transparency and we will continue on this path," it said in a statement. The FCF confirmed in a statement that it had handed over documentation to the Guardia Civil following a request by Spain's National Court. "Once all documentation has been delivered, federation activity will resume as normal," it said.